Nowadays leading websites are using cookies of your internet browsers to track everything you do on the internet. Apart from this as time passes by your computer start slowing down. And there is nothing more annoying than a slow PC. Before installing any PC Tuner app, my PC would take almost two minutes to start and after that painful and irritating slowness. Lets take a look at few reasons for slowness of PC. Now the two software to get rid of all the above troubles and save your precious time. 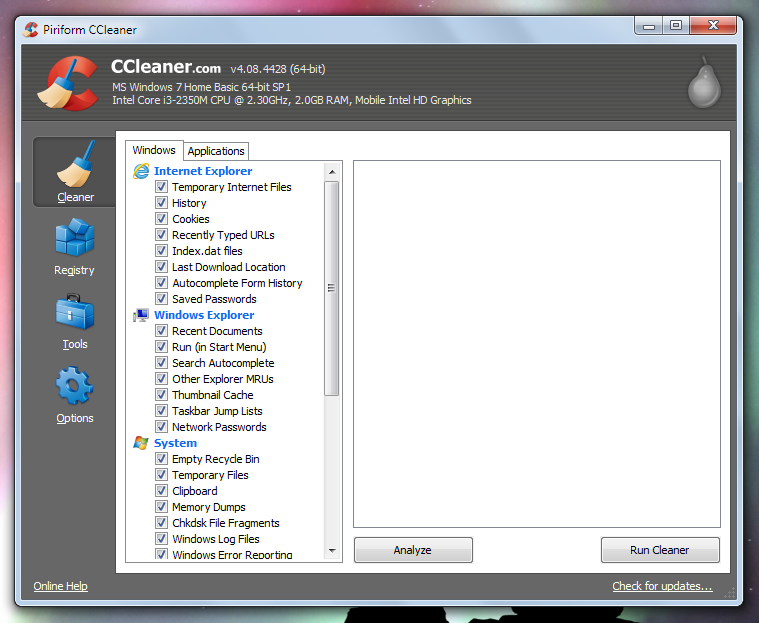 (1) CCleaner : This piece of software is a pioneer in this field. Almost everyone uses it, may be you are using it already. But the key is to keep it updated to the newest version of the software. Cleaner - Internet Temporary Files, History, Cookies, Auto complete Form History, Memory Dumps, Shortcut Fixer, Event Log etc. Registry - It fixes Invalid Registry Entries, such as Unused file extensions, Obsolete Software, MUI Cache etc. Tools - Uninstaller, Startup Manager, File Finder, System Restore and Drive Wiper. 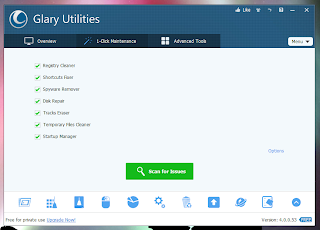 (2) Glary Utilities : I am using this one on my computer to take care of it. It has "One Click Maintenance" option which includes Registry Cleaner, Shortcut Fixer, Spyware Remover, Disk Repair, Track Eraser, Temporary Files Cleaner, and Start up Manager. Other - Malware Remover, File Encryptor etc.Registry Defrag etc. Note : CCleaner and Glary Utilities are free software, however you can buy the Pro Version also.